Disclosure: I am a Boston Market blogger ambassador. Although this is a sponsored post all opinions are 100% my own. We are all busy these days. Our cell phones are practically glued to our hands. The texting and the quick emails throughout family time, it’s becoming the new norm. Growing up in the 80’s we never had this problem. We ate dinner as a family and considered it family time. We talked about our day, the highs and lows and enjoyed each other’s company. Those days seem long gone now. I remember when my kids were old enough to sit with us at the dinner table we never even had the TV on. It’s been something I have tried to implement since. Yes some nights it is a struggle but I know they are young once. I do not want to miss out on the opportunity to sit and enjoy family time at the dinner table. I want to hear about their day at school. What they are into and just listen without distractions. 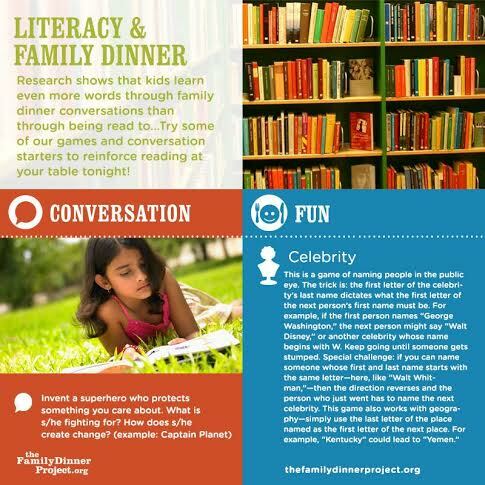 You can find great ideas at the The Family Dinner Project website. There you will find creative and fun ways to make family meals more fun such as conversations starters and dinner time games to play. Boston Market and Lisa Leslie have partnered together to bring awareness that spending family time over dinner is important. 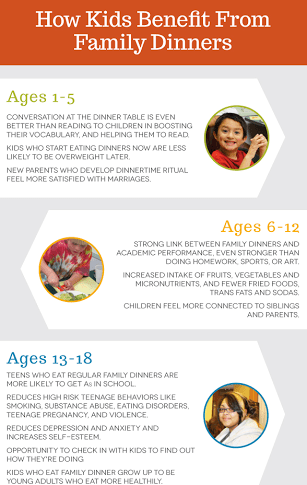 Recent studies show that regular family meals lead to higher grade-point averages, resilience and more self-esteem in children. They are challenging families to log out look up. Have meaningful conversations as a family, talk about you day and put all of those electronic distractions away. Everyone is invited to join the challenge and conversation on Facebook and Twitter using #LogOutLookUp. Feel free to share your family time meal time or fun topics you talk about at the dinner table. Boston Market wants to help by keeping family time at the dinner table with their special BOGO deal! When you make a purchase between Sunday and Friday during the week guests will receive a special Saturday receipt coupon for a Buy One Individual Meal and a Drink, Get One Individual Meal FREE. 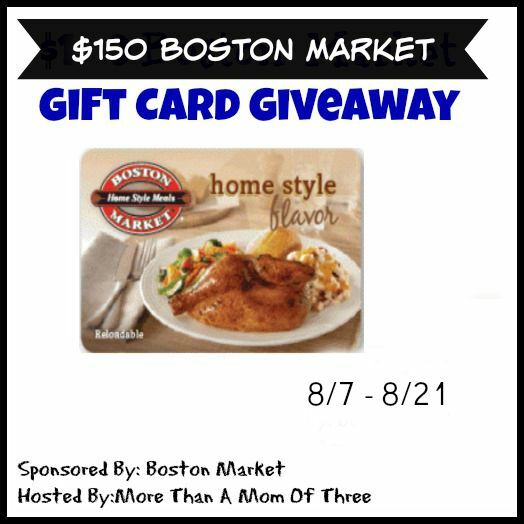 Ready for a Boston Market $150 Gift Card Giveaway? Boston Market is giving away one More Than A Mom Of Three reader the chance to win a $150 Boston Market gift card. Entry is simple just follow the directions below. How do you share family time at the dinner table? We turn off the TV and all electronic devices, and I get the kids to help set the table and we all cook what we love for dinner and sit down and talk and find out what everyone has been doing. I have been trying to get the kids helping to set the table too. My youngest loves it! Even if it’s scheduled that’s ok 🙂 some weeks are like that in my house too. You work with the timing you have. We use dinner time as a time to catch up on each other’s day. We try to always eat together and talk about our day. We always have family dinner…no matter what is going on. We talk about everything, both good and bad…without consequence. We spell words, figure out math problems, and test each other in geography. All of this was done when I was a kid, and I’m carrying it on with my family. We love our family dinner time together! Awww I love that Susan! We always have dinner together (when my husband isn’t working) as a family. We make sure everyone takes care of each other’s needs. And having Boston Market to serve makes it even easier!! Who doesn’t love having thanksgiving any day of the week?! We have all meals at the table! No TV or distractions. We each spend time sharing our day! It’s wonderful to connect and laugh! I try to make healthy and tasty dinners and have good conversation at dinnertime to bring my family to the dinner table. I make lots of good food and we talk about our day. We eat at the table together and enjoy family time. We try to eat together and plan our week. We have a zero tech policy at the dinner table- we talk normally to each other and see the highlights and lowlights of the day. We have the kids participate in setting the table and clean up when we do sit down together. We sit down together at least 5 days out of the week. Sometimes it’s the only time we get a chance to talk! Dinner is a good time to talk about how everyone’s day went and reconnect. i make sure we all sit down together to eat dinner at least and whenever else possible. This is so awesome. We always turn off all cell phones and TV. We talk and enjoy our food. We also love to play board games while we eat. Happy dinner = happy family. We shut off the tv and eat at the table. We sit at the table and talk while we eat dinner together with no devices. We have a no-electronics policy at our nightly dinners. We have a no device policy at dinner. All of us leave our phones in the other room, no tablets or laptops, nothing. We sit down and talk to each other and on Friday’s we watch a movie or play a board game. We discuss what we’ve all been up to. No cell phones or iPads or TVs — just conversation! We have a no television or electronic device policy and don’t answer the phone so we can focus on having a meal truly together. We eat together most of the time but we don’t only eat, we like to talk and we enjoy it. Since my kids were little, we always sat down to dinner together. Now that everyone is older and have different schedules, I try to plan something everyone will enjoy when everyone is home so we can enjoy dinner together. We try to eat dinner together as a family. I know that it is super important to set a good example for my kids. 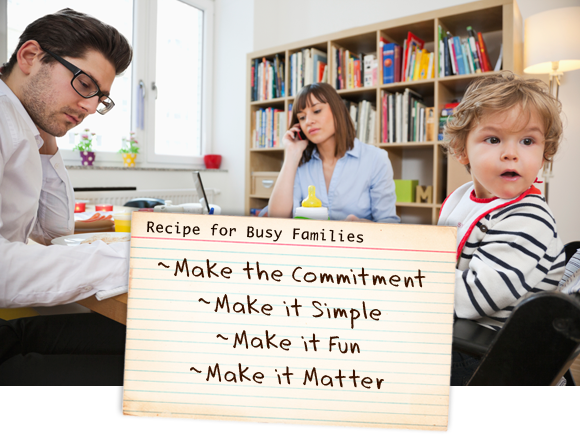 I bring family time to the dinner table by always eating dinner with my kids and talking about their day and our plans. We try to put down the devices and talk as a family. Everyone contributes to the meal in some way: setting the table, washing the vegetables, measuring out items, saying Grace, making suggestions, participating in a nice conversation during the meal, clearing the table, and washing up afterwards. We try to have dinner at the same time every night and we have rules about no TV/phones/electronics at the table so that the whole family gathers and enjoys dinner together. It’s not easy….but I make something good and ask in advance for them to be there. Bohemian Babushka (@BBabushka) recently posted…@ViveMejor isn’t just a site, it’s Their Philosophy. We make sure to eat together each night and discuss what went on in the day. Cell phones, tablets and games are not allowed at the dinner table. It is family time. I love being able to catch up with all that is going on while we enjoy a great meal. We try to eat family meals together every night and leave the cell phones/electronics away from the table! My kids are teenagers and I always have them help me cook. They look forward to it and it is teaching them an important skill. And when we all sit down to eat they get to enjoy their work. We use dinner to talk about how our day went! By letting the kids pick the meals from our meal rotation a few days out of the week. I try and cook a variety so everyone is happy and we share our thoughts together! We have everyone turn off their phones and ipads and talk about school or the plan for the next day. Although I wish it was more often it doesn’t happen every night.